Summer. As soon as we hear that word, we just can’t wait for it to come around again. While summer is a great time for relaxation, it can also be a suitable occasion to trim semesters off of your college years, which is a good thing. “Summer semesters offer students a great opportunity to get ahead or make up for time lost due to courses not taken during the spring or fall,” said Leandro Esparza, student success coordinator of the Welcome Advising Center. Palo Alto College offers courses in three convenient semesters: Maymester, Summer I, and Summer II. Students will need to register before the registration deadlines for their desired semesters. Maymester registration ends on May 12, 2014; Summer I and 8-week session registration ends on June 2, 2014; and Summer II registration ends on July 7, 2014. “More than half of our summer courses are offered as online courses. This allows students to have more flexibility. Students are able to devote time to family or summer jobs,” said Esparza. According to the Palo Alto College website, the maximum number of hours students are allowed to register for are 3 hours for Maymester, 8 hours for Summer I and 6 hours for Summer II. “With the convenience of three semesters, I can take classes during one or two of the three semesters and still have a few weeks to relax. The courses are faster, but since it consists of less classes than a Spring or Fall semester, I can dedicate more time to them,” said Aurelia Palacios, a sophomore Radiation Therapy major. An associate’s degrees consist of 60 hours or 20 classes. Some degrees may slightly vary. In order for students to complete an associate’s degree in two years, 15 hours (5 classes) must be taken during four 16-week Fall and Spring semesters. If students decide to take fewer hours during either the Fall or Spring, the Summer semesters are a convenient way to help students stay on the ideal two-year track. “I take them to get done faster. Taking courses now will allow me to have more flexibility down the road. I can really concentrate on a Science or History class,” said Palacios. 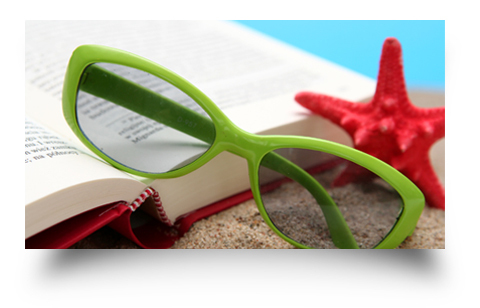 Summer aid is available for all three semesters, including Maymester, Summer I and Summer II. If students don’t see their Maymester financial aid go through before the start of Maymester, they shouldn’t panic. “Maymester financial aid will be distributed at the start of the Summer I semester, which will also be the time of distribution for Summer I and Summer II financial aid,” said Pedro Ortiz, student temp in the Financial Aid Office. Students should make sure all required financial aid documents have been filed before the submission deadline of the three semesters. According to the Palo Alto College website, the financial aid processing guarantee deadlines are as follows: March 4, 2014 for Summer 2014, and May 1, 2014 for Fall 2014. Knowing exactly what classes you need prior to Fall, Spring and Summer terms is key to hassle-free degree completion. Selecting the correct courses is very important. Costly consequences can arise, if not. To avoid additional semesters, students need to select the courses needed to complete their desired degree plan. Log on to AlamoGPS or see a faculty adviser today.